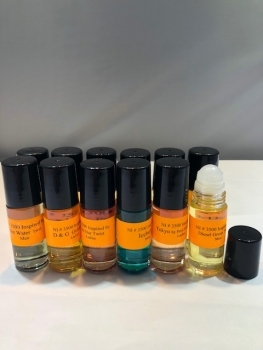 1 Dozen 1 Oz Roll-on with oil fragrances assorted 1 dozen (12) of our choice. Select the package below and enter number of packages and click Add to Cart. Approximate shipping weight: Dozen- .8 Lbs. Weight may vary due to glass shape and packing material used. Shipping charges added at Check Out.